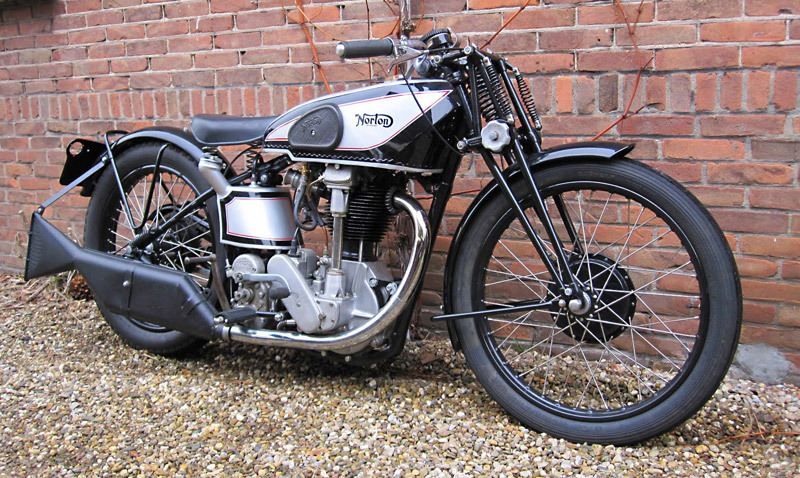 This stunning M30 International 500cc motorcycle was recently sold by John De Kruif from the Norton site unusually named Rapid Hare. He bought the bike as a “basket case” and we love how John describes the build: “Restoring was not that difficult. The engine was rebuilt by Stu Rogers and you drop the engine parts at his place, wait for one and a half year, collect and fit. Many of the other parts are similar to abundantly available 16H items that can be made to fit with a little work. What’s left is very careful assembly. It’s not an original bike but then again, very few Inters are”. You might be wondering why he sold such a beautiful machine? Well, like a lot of motorcycle enthuisasts he ran out of room in his garage and moved it into his house for a little while “where it spent a few happy years next to the television”, he then ended up buying a vintage flat tank OHV Norton so this beautiful Inter had to hit the road. To read the full story and to check out a couple more pics check out John’s Norton blog.